‘Your dad will always beat you in a race’. What I’m getting at with the title of this story is with age generally comes wisdom. True, not everybody that’s older than you knows better, but the smart thing is to seek out the ones who do, and learn from them. It’s not all about being the fastest either. Remember that whole thing about the tortoise and the hare? Well, the tortoise won – and for good reason. 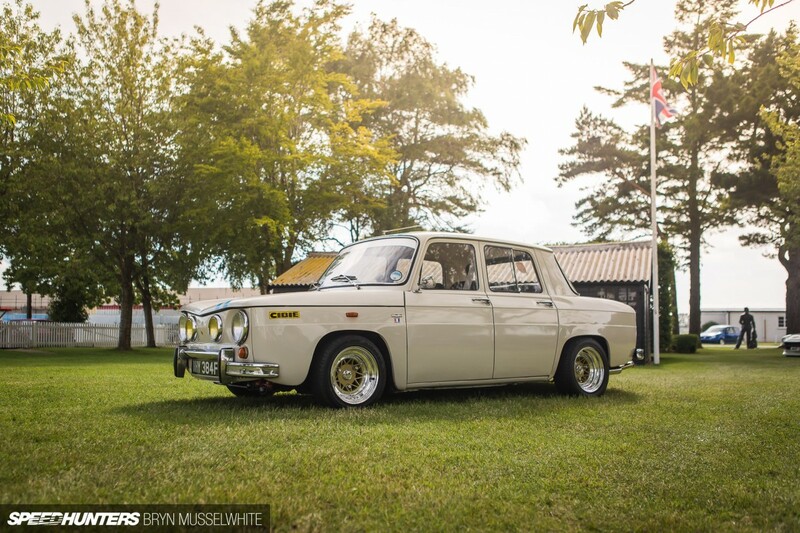 Not that this 1968 Renault 8 is that slow though. The reason why I selected it for a spotlight was because unless you understand the rules of the game, you can never win. The first rule is, any car has potential. If you’re not sure what modifications to go with, look to the past and see what’s worked through the years. 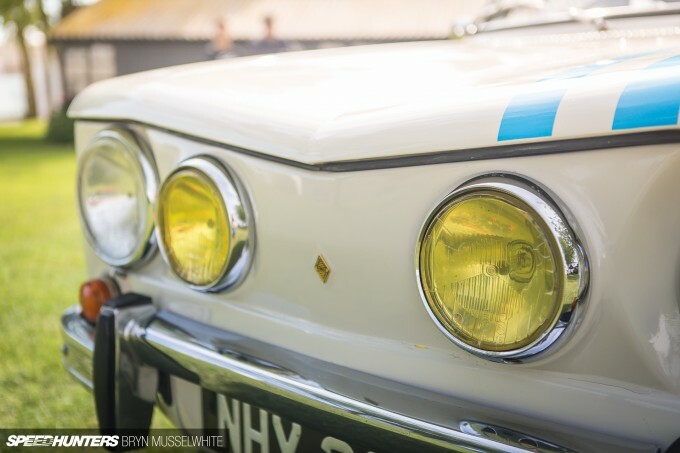 The yellow lens on the inner driving lamps of David Nobes’ Renault 8 are there because on full beam they make it easier to see in rain, snow and low light situations. They remove the blue-to-violet light from the beam, which are harder for humans to use. It was also a legal requirement in France until 1993, so it adds a detail to the front end of the perfect three-box design that hints at fast driving and history. 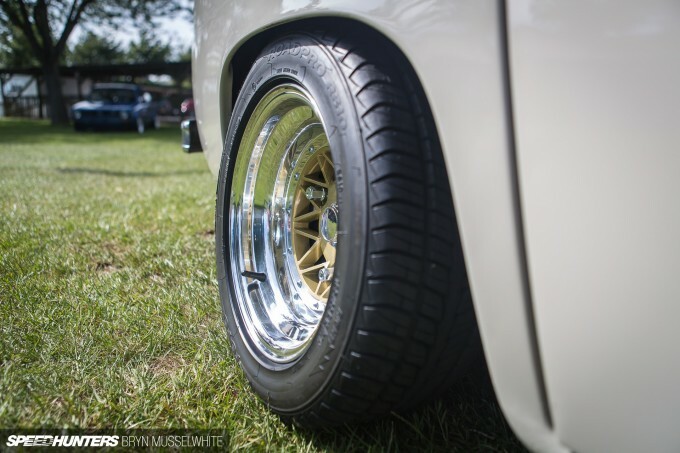 David picked up the ’68 saloon late in 2014, and since then he’s added some very tasteful old school modifications. 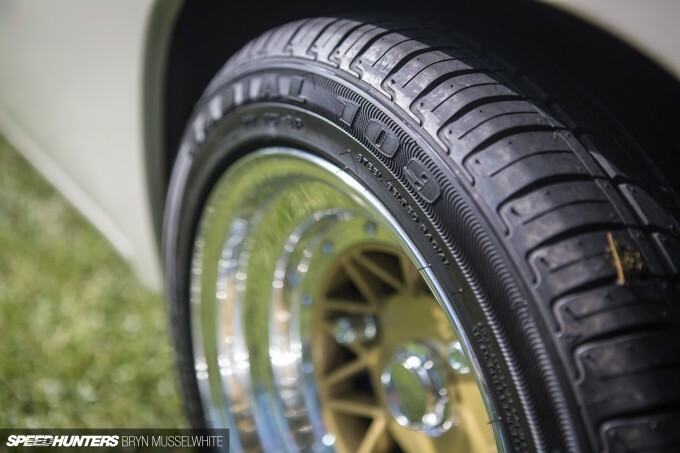 Originally it would have worn 15-inch steel wheels, but many of the Gordini race cars actually ran on 13s to get wider rubber under the arches. 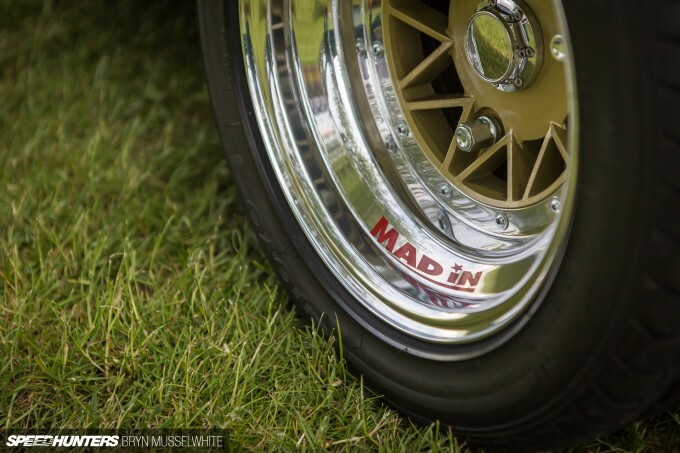 These 13×6-inch Mad In 3-piece wheels are French made and have crazy -34 offsets in the front and -38s in the rear! 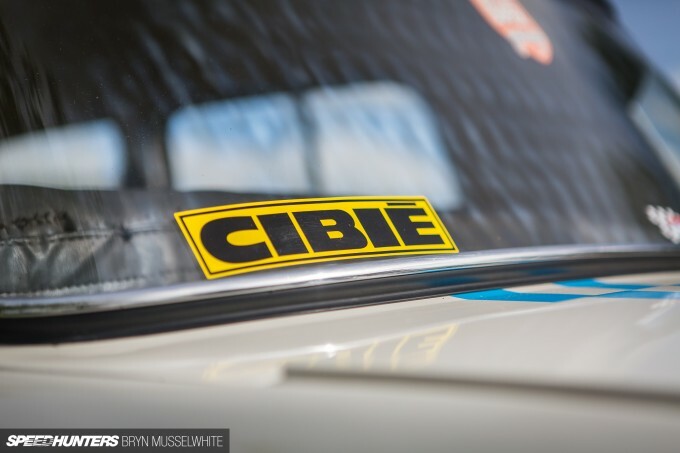 Sometimes it’s easy to get up in 1000hp Skylines and forget the pure and simple pleasure of keeping it pinned and momentum being your friend. Here the 1300cc is from a bigger Renault 12 saloon, and with forged pistons and a single Weber car it now produces 70hp at the flywheel. 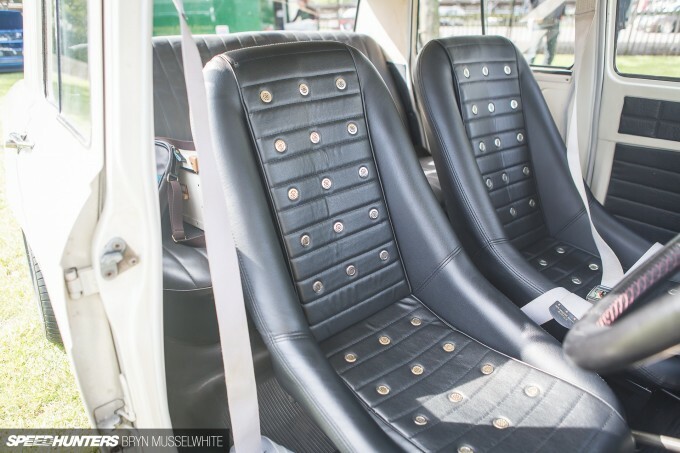 Inside there are some vented bucket seats, which keep you facing forward better than the standard slabs. Look through any old ’70s or ’80s car magazine and you’ll see ads for these types of seat in the back. So again, they fit and do a job. To many people the brands used here will mean nothing, but put together they just work. To those that know what they’re looking at, this is a really cool old school package which ticks all the right boxes whilst still oozing individuality. Look and learn, the headmaster is in the class. Back in the 60's their was a Renault 8 Gordini trophy. One of the most entertaining racing series to watch. Drivers came by the road raced and went back. This trophy made a few legends in France. 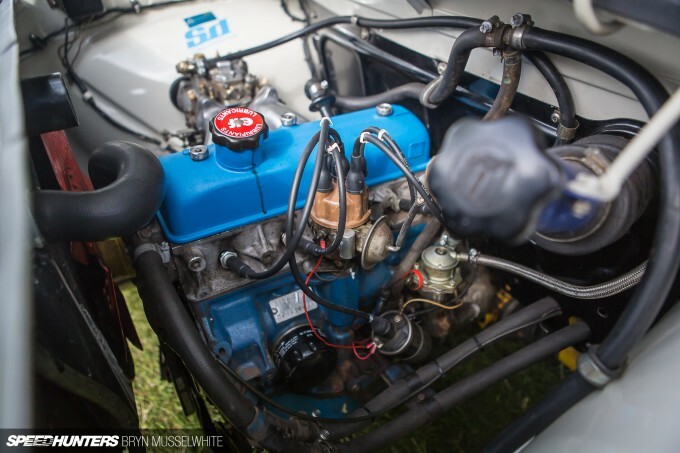 The older génération of racers all learned on the antique but delicious R8 Gordini. These people know that the most important thing to go fast isn't about the car or motor. But its what happens between the seat and steering wheel. Today in France we sometimes still see these little boxes being driven hard at trackdays and wonder how on earth they manage to keep up with more modern cars. Possibly my favourite car you've posted this year. 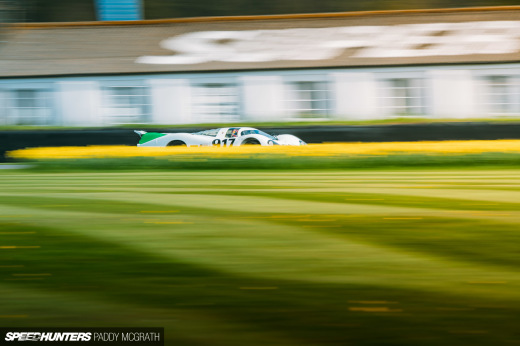 Great write up and fantastic photos, thank you Bryn! I used to have one of those, but the real one. It was a Group 2 R8 Gordini. Sold it 2 years ago, what a car it was. Most of the best french pilots of the 70's and 80's learned to race on those cars. Great looking car that period perfect. Like i say LESS IS ALWAYS MORE. Aaah the "mighty" Renault 8 ! My cousin used to have one, with two sandbags in the front trunk to avoid under steering. Nice looking car. That's an interesting place to put your horns. 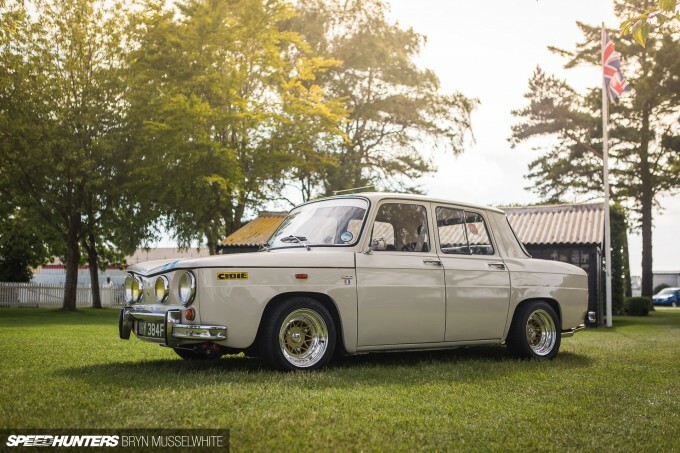 I do love a pre 90's Renault, usually the older the better, however I don't think I would physically fit into this one (not that detracts from it whats ever). I asked my dad about the yellow lights thing on holiday once and was told "Because it... because it.... shut up and eat you babybel"
Net over the spare wheel... why the HELL have I not thought of that before? 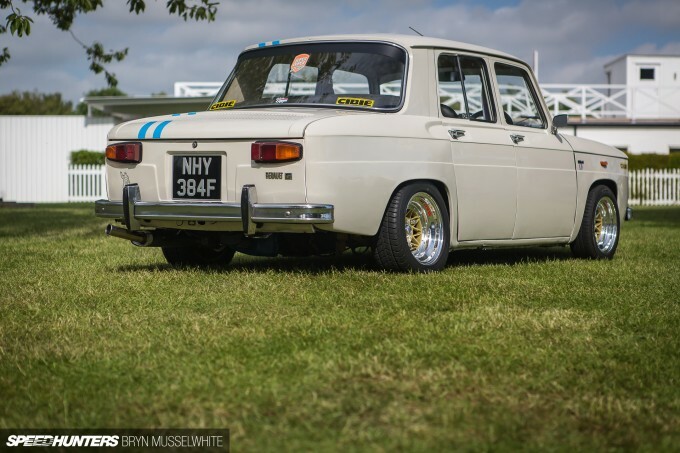 Great looking little Renault, I love the wheel and tire combo it seems so perfect! Must be such a fun car to drive. This was my momentum chaser, I got rid of it for a car of similar weight but 4 times the power. Awesome! I just picked up some z-beams for my project. How is the intake air flow with that weber being so close to the inner fender? 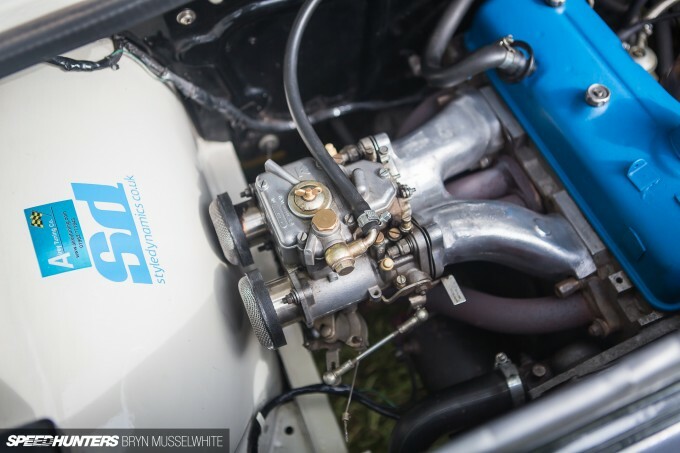 Speedhunters ..... do more stories like this. What a car! It's so clean and everything is executed very well with the less is more style! while I usually just post some bitching about the thread content, this time I have zero complaints. This thread is great, it's what makes this site worthy. Great job people. @Jack C Haha, really? I genuinely didn't know that! Ironic indeed. Thanks for the info. AceAndrew2 It's not going to be great is it I guess, but then again it's not consuming massive amounts of air, maybe a dedicated air box or intake feed might help. JakWhite Holy Toledo! Sorry... Bad joke you will have heard a hundred times. I really like the two door shape of these. I actually prefer them to the Dolomite. David R Nobes Hello David, there was some wind noise over the recording I made with you so the email address must have been wrong I guess. Glad you got to see this though, thank you for the kind words! TarmacTerrorist Haha, having a lot of history in France as a kid I also have a thing for earlier French tin. I also never knew the real reason for yellow lamps until recently. 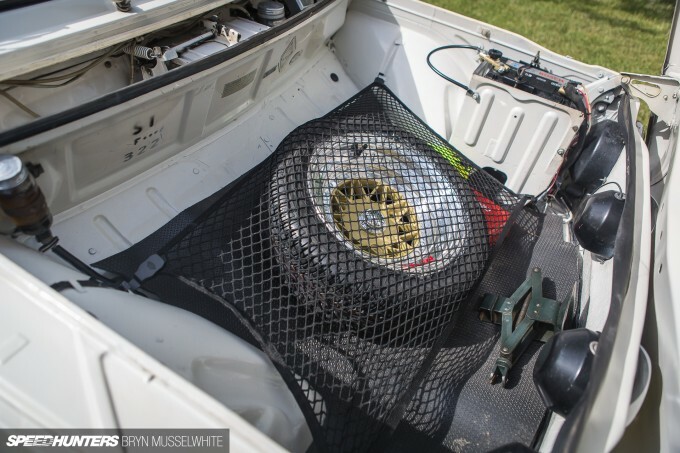 And yeah, spare wheel net is cool right? GhostOfAkina Light and fast, more connected too. Wildcardfox Everyone can hear them better! koko san Yup, they need a skilled hand... Or ballast! Ginkei Garage No way? I saw a real one last week whilst shooting another feature, I may have to go back and do another shoot. the_escape_road Haha, glad you like it, we have similar taste it would seem. Edouard_Bo No! Of course, I suppose it must be the same basic block? AceAndrew2 Hi they are working much better than the socks that were on there originally. 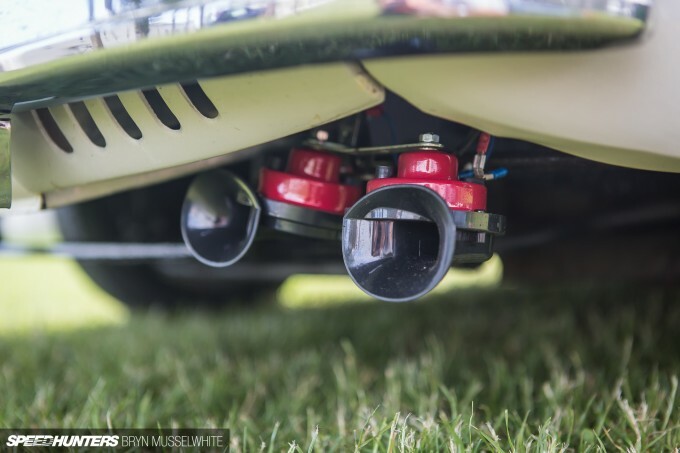 As you may spot its a hot spot with the exhaust manifold directly underneath. . This has now been wrapped although a ceramic coating would have been good also. With the open flow under around engine its working. 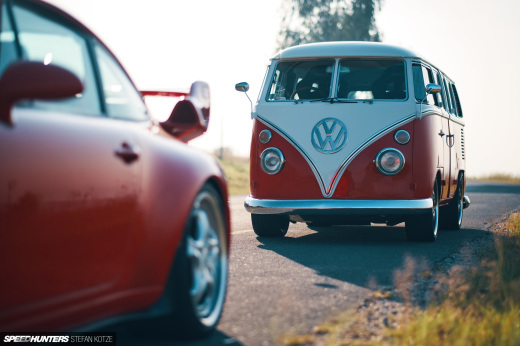 Many hill climbers sometime stand off the boot lid. 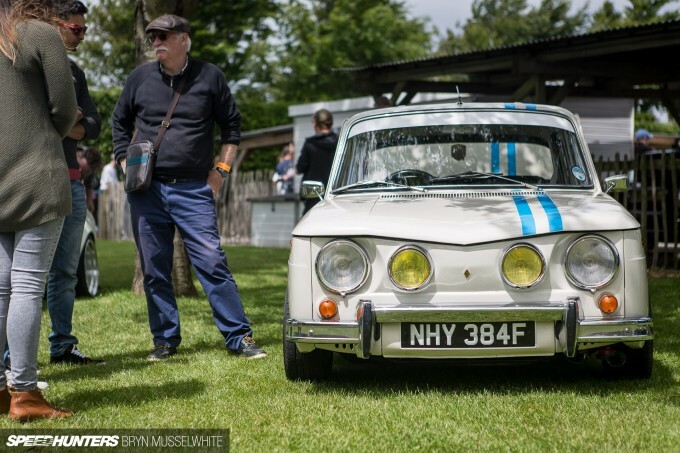 Speedhunters_Bryn TarmacTerrorist The love of classic french tin seems to be a universal love - I'm yet to meet someone that doesn't make a cooing sound at the sight of a DS. so cool I just ordered a net and hooks for the back of the CRX long going and annoying problem, plus I will now have somewhere for the seat lock and chain to go that won't rattle around the boot, Winner! In my country this cars sell for nothing....but they are not prep like this that's for sure. 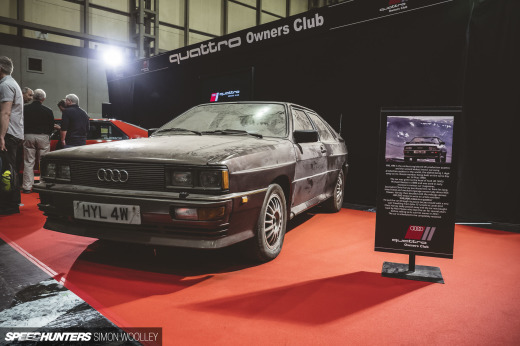 Speedhunters_Bryn Renault used this block during 40 years in different ways. The most powerful configuration in a road legal car is in the R5 Turbo with 160bhp (1400cc, Turbo). They also did few versions for rallye, the most extreme is the group B Maxi 5 Turbo with its 385bhp and 420Nm. I guess this is the most that we can extract from this old school block. just great, have 4 of about the same together with my brother! 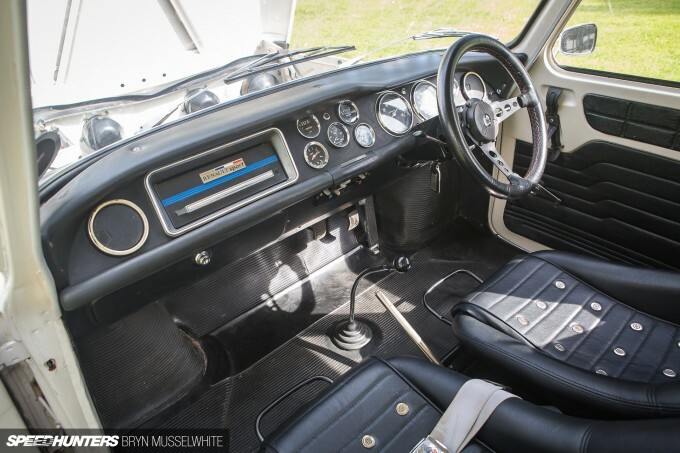 As Bryan kindly quoted this is not intended to be super fast although when first looking at the car it was tempting but we have done that with a mk1 twingo. that was a bonkers car with Clio engine ,throttle bodies coil overs etc etc and lit up in 3rd with 135 bhp at the wheels. Having done that and having 450bhp as day car(wife's!) there was the urge to have less and a more balanced car taking me back to earlier days of my teenage years of R4 and 12,s and travelling through France spotting R8s in Total petrol stations! The little R8 has taken on a new journey back to more rewarding time when I get out with grin and sense of travel and achievement.